Making the Teachings of Jesus and the Bible Easier to Understand and Learn. Sadly, we will all die one day and leave this world and those we love behind. The good news is there is a paradise called heaven on the other side of the grave for those who prepare now in this life . . . If you are a new Christian, learn more about what has happened to you and your new adventure in life . . .
Memorizing Scripture can have a big impact on your life . . .
Can we prove that God exists? 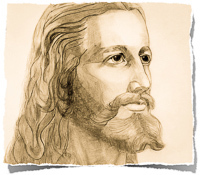 Is Jesus Christ really God or was he just a good man? Does the Bible contain God's words or is it just an ordinary book written by men, full of errors and fairy tales? Are all religions pretty much the same?